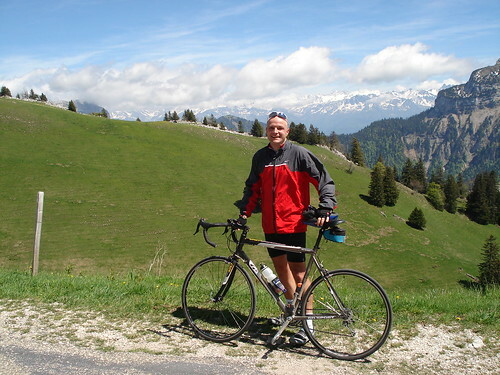 My first time cycling in the Chartreuse region of the Alps (surrounding Grenoble). Grenoble may be at the bottom of more major climbs than any other city. Today’s route passed 4 mountain cols and THEN the hard part started. The first 10 Kilometres were pretty hard along beautiful quiet roads. I passed 4 riders at the Col de Clemenciere which helped my spirits. 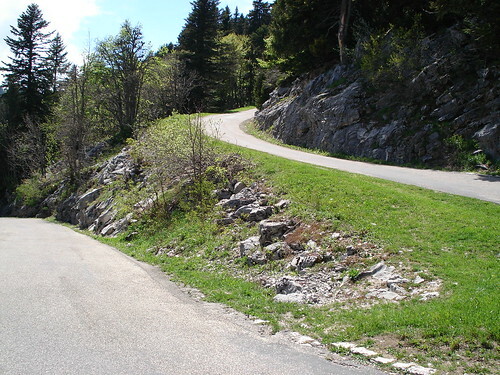 At the Col de Vence I rejoined a slightly busier road – I later learned there was a quieter option … but no big deal. It was super hot and I was out of drinks so I bought two Iced Teas at a little restaurant, caught my breath and kept going. 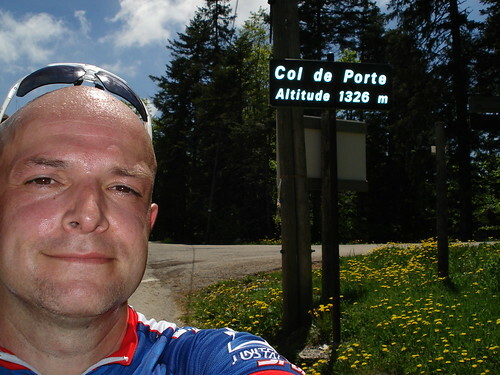 At the Col de Palaquit I knew I was close. 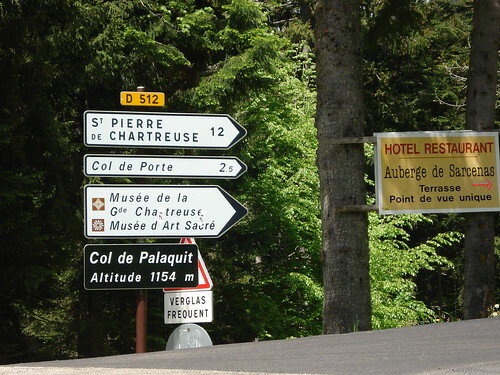 My Goal for the day was the Col de Porte but I felt OK and knew there was a little road at the top that went even higher for 6 kilometres to the Chalet of Charmant Som. This route was absoultely beautiful but was super steep for 3 or so kilometres. At one point I stopped for a drink and had trouble restarting (ok I was pretty tired too!). I passed a guy and his wife and said "courage" (standard french biking encouragment) and the woman answered in English with a high pitched "Help." Up top was beautiful and full of hikers. A big day – starting at 200 metres and ending at 1,700 metres with a little bit of downhill. Happy but Knackered?